Mobile devices, chiefly phones, have become the primary means people use to search for products, and merchants whose products appear quickly in a search have a significant advantage. This is where AMP – Accelerated Mobile Pages – technology comes in. It lets retailers provide the fastest mobile viewing experience possible and leads to higher search result ranking over time. AMP technology enables websites to perform at lightning fast speed when viewed on a phone or tablet, even if the user’s wifi connection is slow. Web pages load virtually instantaneously because the site serves up a version of the page that excludes data-heavy aspects needed for desktop use. AMP facilitates quick load times, increased click rates, lower bounce rates, and higher quality user experience – all of which are key factors in site ranking. 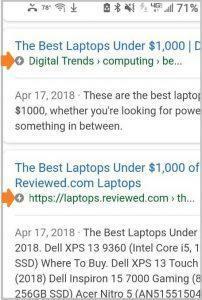 Since its introduction by Google in 2016, users have become conditioned to seeing the AMP lightning bolt icon as an indication of a fast website (survey results). Bing, Twitter, LinkedIn, Pinterest and others are now adopting AMP technology for their platforms. The AMP lightning bolt icon appears in search results of web pages that have the enhanced technology. Users have come to know it as a sign of a fast, efficient, and reliable site. The simplest reason why AMP technology helps a commerce site attract more traffic is that it makes the site load ultra-fast when viewed on a phone. Faster loading means more users stay on and spend more time browsing the site. AMP technology lets a merchant serve up the most essential commerce pieces in the fastest way possible. By strategically rolling-out AMP pages based on business goals and customer needs – and monitoring analytics – B2B and B2C merchants can leverage AMP technology to continually increase mobile conversions. Whether the products are consumer goods, items used by other businesses, or pretty much anything with a SKU, quick access to product details and photos combined with easy form completion and one-click shopping (through PayPal, Amazon Wallet, etc.) lets customers easily and confidently browse and buy by phone. Retailers who have implemented AMP have noticed significant increases in conversion and click-through rates, along with decreased bounce rates AMP Project Org cites an analysis showing rates are +105%, +29% and -31% respectively). Google announced that starting in July 2018, page speed will be a ranking factor for mobile searches. Google will crawl websites from a mobile perspective. 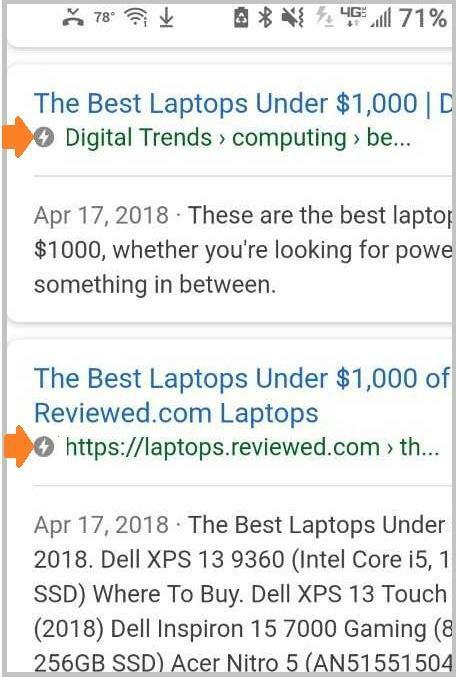 This alone is reason enough for an online store to implement AMP technology, but when you factor in other ranking criteria, it becomes even more important. Placing high in search results happens when a website demonstrates that it’s a useful resource for people searching the term. Number of and increases in visits, page views and amount of time spent on a site are crucial. Conversely, high bounce rates (where a user leaves a site quickly), can be detrimental to a site’s ranking. AMP enables instantaneous page viewing by phone, makes content immersive and engaging, and leads users easily through the buying process, thereby strengthening and validating the site it in the eyes of search engines and humans. A B2B or B2C site must be more than “mobile friendly” in terms of layout; products must appear in front of people quickly, at the top of search results, and pages MUST load quickly. AMP technology dramatically increases the number of people who see your products, improves the speed of viewing pages, provides better user interface/user experience (UI/UX), and increases conversions. All of this improves page ranking over time to help your business grow.